Anonymous members of Representative Peter Roskam’s election campaign are spreading rumors that his opponent, Sean Casten, is a space alien. The Roskam campaign claims this photo is proof that his opponent, Sean Casten, is an alien. 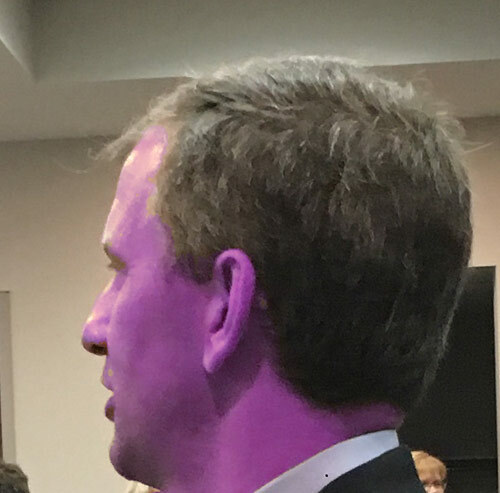 When asked for evidence that Casten is an alien, they produced an “enhanced photo” of Casten taken at a candidates forum in Palatine, IL. Anne said the “enhanced photo” of Casten will be distributed to paranormal websites, and to InfoWars sometime next week. This was followed by the sound of a slamming door.